You know how you love to highlight you favourite novels, but then weep when you remember that you can't rub it off again? Well, Sony's new Reader (or Digital Book as they like to call it), the PRS-700, has added touch sensitivity to the range, so on and off highlighting will be a cinch! Bonus! The six-inch screen might still be black and white (don't expect any changes there for a while) but packs a virtual keyboard and the ability to search for words and phrases as well. 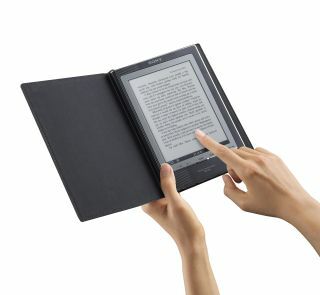 It also comes with a world's first for an e-book: a backlight for low-visibility reading. Now that's something no book has ever managed. Obviously. Space for around 350 books is included, and expansion is available through Memory Stick or SD memory cards. Get your hands on this beauty in November, and it even looks as if Sony is keeping the price very much the same as the previous model, the PRS-505, at a sprightly £200 (or near enough).